Photography, blah, my least favourite part of running an online business, but probably the most important. Without being able to see, touch, smell or feel your product, photos are the only way to get across just how wonderfully creative you are and how great your product is. I spent a lot of time trying to figure out photography and whilst I think my photos are so much better than when I started, I still have a very long way to go. The hardest part, to me, is the balancing act. Locations like Etsy that specialise in handmade business have a tendency to expect creative and artistic photos, unfortunately, off Etsy photos for promotion, catalogues and many standard websites need to be clean white background photos, this requires quite a juggling act to get your product photography right for all these scenarios. I compromised and use a clean white background but include my packaging as a prop to add interest and to keep the photos a little more artistic. I thought today I would share with you the photography articles that have helped, and continue to help, with improving my photography on Etsy together with a great little money saving DIY idea on a homemade light box. As you can see from my before and after photos, whilst I think I still have a long way to go, the difference is phenomenal. Regardless of what articles you reference, in reality, just about everyone on the Internet these days there are hints and tips on product photography so really, if you want to grow and make your business the best it can be, research, research and research some more. No. 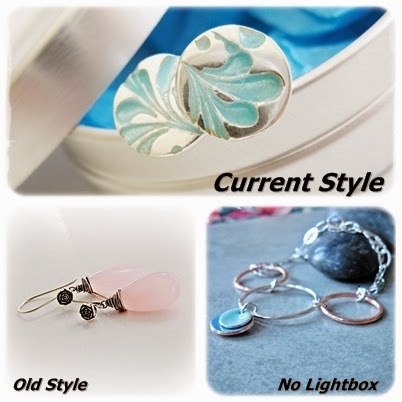 1 is this inexpensive idea for a DIY Light Box on Makezine, its amazing the difference a light box can make in your product photos. No. 2 is the basic Product Photography Guide on the Etsy Blog, this is the best starting point for all new shops and is a really good place to learn the the basics of product photos. No. 3 is another article with general Photography Advice for New Shop Owners on Oh My Handmade and it shows the progression of some established shops to showcase how you style can change as you learn more. No. 4 is an article on the 5 Cs of Photo Styling on Mint Design Blog, this article goes beyond basics and talks about styling, props, backgrounds and more, a really great resource for making photos creative and interesting, perfect for Etsy and Promotional shots for Marketing. No. 5 Is another Etsy article on achieving Sharp and Crisp Photos. This is a really important article, I have to say, there is nothing more off putting than blurry photos, makes my head hurt looking at them. No. 6 Again, more Etsy articles, after all, the Etsy blog is packed full of great articles to help you improve your shop and this can be used in any online service really. This one is all about creating Feature Friendly Photos which is really important, good feature worthy photos is how you get noticed for treasuries, blogs, collages and a host of off Etsy promotions. I know myself, when I am looking to share some Etsy Inspiration in a collage or Treasury I skim the photos looking from images that Pop and make me want to look twice. No. 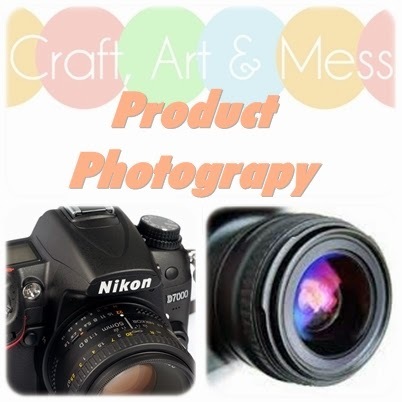 7 and 8 are from Handmadeology’s, another of my favourite resources for tips and business articles as an Etsy seller, these two articles are all about improving your product photography, including Seven Tips on Better Photos and 5 Tips on Improving Product Photos. Hope these links are as useful to you as they have been for me in my journey.